All Progressives Congress (APC) National Chairman Chief John E. K. Odigie-Oyegun has congratulated National Chairman of the Peoples Democratic Party (PDP), Prince Uche Secondus on his election at the PDP’s National Convention. He also greeted other newly-elected PDP national officials. 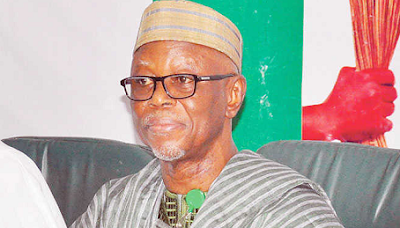 Odigie-Oyegun, in a statement, said: “It is my hope that the newly-elected PDP National Chairman will use his experience garnered over the years to ensure that the PDP assumes its role as a responsible opposition Party in the country. “Our party wholeheartedly welcome opposition because we believe that democracy cannot thrive without a vibrant but responsible opposition that puts the nation first. This will often challenge you to balance partisan interests with overall national considerations.